The third annual American Society of Golf Course Architects Design Excellence Recognition Program recipients have been named. 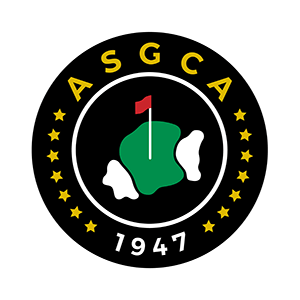 Projects from 12 courses in the United States and Asia have been cited for their work with ASGCA members in addressing unique design challenges. Since its creation in 2012, the Design Excellence Recognition Program has shone a light on the innovation and problem-solving skills required of today’s golf course designs, whether the project is a small bunker renovation or a full-scale 18-hole layout. Bali National Resort, Bali, Indonesia/Neil Haworth, ASGCA A renovation brought about by new ownership meant tight deadlines and budgets, and the challenge of improving irrigation and even using only sand found on site. The rebuilding and reshaping all the greens and bunkers revitalized 22-year-old Bali National to world-class standards and ensured the sustainability of the course for the future. Carillon North, Grayslake, Illinois/Greg Martin, ASGCA A series of four par 3 projects includes a 20-acre, nine-hole course sited around seven acres of wetland and stormwater storage. As part of an “empty nest” residential community, large greens and multiple tees allow for varied “loop” play. Each golf course improvement needed to address unique stormwater management and/or wetlands mitigation while providing the residents a unique amenity to play golf in a relaxed setting. The Challenge Course Concept, Nipomo, California and Meridian, Idaho, Damian Pascuzzo, ASGCA To attract new players, Challenge Courses consist of nine-and-12 par 3 holes using 35-45 acres, to be played in 90 minutes. Holes lengths are 65-240 yards. Large, multiple turf tees were built on each hole providing options on hole length and attack angles to fit all skill levels. Greens measuring 9,000-10,000 square feet are crafted to create both easy and difficult hole locations. Jane and Walt Dennis Golf Performance Center (The Ohio State University), Columbus, Ohio/Dr. Michael Hurdzan, ASGCA Fellow How do you attract and keep top college golfers when you are based “Up North?” Hurdzan Golf Design developed a unique indoor practice center, including the use of artificial turf and real sand bunkers. The result is a facility with large tee area, fairway, collar, green, rough and bunkers, elevation changes up to eight feet, slopes up to 2:1 and green speeds commonly found on Bermuda and bentgrass. Furman University, Greenville, South Carolina/Scot Sherman, ASGCA Sherman created a multi-purpose facility for the Furman golf teams where a par-3 course, short game practice area and driving range tee all exist within a six-acre footprint. The design allows for teaching tee and driving range use in one direction while also providing shots up to 200 yards in the opposite direction to competition-level greens. At other times, a seven-hole par 3 loop can be used for competition or socializing. Mistwood Golf Club, Romeoville, Illinois/Ray Hearn, ASGCA Flooding each spring and course strategy impacted by advancing technology led to a call for renovation. Remodeled course features led to enhanced strategy while adding beauty. Increasing pond storage capacity, remodeling the practice facility, decreasing high maintenance rough all enabled daily fees and gross revenues to increase. Oakland Hills Country Club (North Course), Bloomfield, Michigan/Shawn Smith, ASGCA Associate A master plan was developed for Oakland Hills to enhance the strategy and aesthetics on the course and improve drainage and agronomics on three holes laid out on heavy peat soil. As project architect, Smith also recommended extensive tree clearing and rebuilding all tee complexes and 30 bunkers. One notable improvement was on 15, where a pond was relocated and a seawall built to stabilize the banks. The heavy peat soils were capped with sand and extensive drainage installed. Peninsula State Park Short Course, Ephraim, Wisconsin/Bob Lohmann, ASGCA A six-acre short course to “grow the game” was developed across the road from an 18-hole state-owned course (and needed to be developed only with private funds and gifted back to the state). Wadsworth Golf Foundation’s Links Across America assisted with funding the facility, a six-hole par 3 with holes 65-110 yards long. Bunkers are simple and greens have generous collars and larger cups for ease of play. Ground was broken in 2013, and the course opened in August 2014. Reid Municipal Golf Course, Appleton, Wisconsin/Todd Quitno, ASGCA Associate A renovation helped the City of Appleton meet state and federal mandates to address storm water needs and control flooding issues. A concrete channel was naturalized and four acres of new ponds created. The new wetlands filter storm water as it passes through the on-course system before heading downstream. Course improvements include four new greens and the equivalent of four new fairways, improving risk-reward strategies. Trump Golf Links at Ferry Point, Bronx, New York/ John Sanford, ASGCA How does land get transformed after 20+ years as landfill to an Irish Links-style course? For this Jack Nicklaus Signature course in collaboration with Sanford, it was by working with the land and striving to improve the environment, along with creating really good golf. Native fescue grasses cover more than 50 percent of the course, which has only 70 acres of irrigated turf. More than one-third of runoff is recirculated back to the irrigation pond and reused on the course. The balance is delivered to basins which trap and filter sediments, nutrient and chemicals. The course is scheduled to host a 2017 PGA Tour event. Yinhong #6 Golf Club, Beijing City, China/Rick Robbins, ASGCA & Brian Lussier, ASGCA Originally built with the encouragement of the Beijing City government to help solve flooding and air quality issues, as well as make productive use of what had become a dumping site, the quality of the golf course failed to meet the owner’s goals.. The Robbins & Associates team coordinated a program for water use reduction, flood prevention and air quality improvements by implementing irrigation system changes, grassing selections, landscape modifications and staff training. Also, by reconstructing all 18 greens and changing bunker styles, the course now has the visual and strategic impact the owner required. Yishan Golf Club, Wuhan, China/Rick Robbins, ASGCA & Brian Lussier, ASGCA Working on a site where a course was once built but never opened, Robbins had to meet the exacting standards of a new owner and the local government, including being told where holes could be placed in relation to proposed real estate development. By working with the master planners, clubhouse designers, landscape designers, owners and local officials, Robbins crafted a final master plan and routing that fit the site terrain and provided the best value for real estate. The course hosted the 2014 Wuhan China Open.